The track titles are simply Mike's working titles for the sections they refer to. Unlike the previous sequels to "Tubular Bells", such as "Tubular Bells 2" and "The Millennium Bell", this is a straight re-recording of the original album. Mike Oldfield has apparently always been conscious of what he considered to be the shortcomings performance and production wise of the original album. He therefore returned to the studio in 2003 and recreated the album in its entirety. The result is what sounds like a tribute to "Tubular Bells". The original album may well have had its flaws, but they were entirely transparent to the average listener. 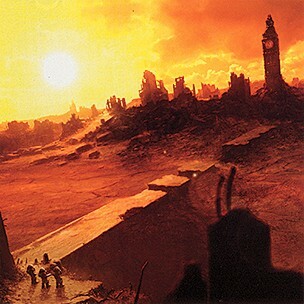 In many ways, those nuances which Oldfield considered to be in need of repair were part of the appeal of the album. Listening to "TB 2003", it is difficult to avoid constantly comparing this new recording with the one you are already familiar with. Yes, the performance is now impeccable, the sound is crystal clear, and the music of course is excellent. That perversely may be the reason why it loses some of the appeal of the original, it is just a bit too clinical. Pointless rerecording of this classic album.Please..but why? The original still stands up and retains an essential earthy quality.This version removes the soul and leaves you with the shell.For Oldfield nuts only. When was the last time you heard Mike OLFIELD's classic progressive-rock masterpiece "Tubular Bells"? It is quite possible you never heard it before if you are twenty or thirty something. Regardless of what generation you are from this is the kind of album that is worth taking out on a regular basis to give a spin to relive its magic. With the advent of this DVD-A release from Rhino Records, it is time to acknowledge the brilliance of OLDFIELD and his work one more time. This album has always sounded wonderful. Now we can enjoy every detail of the original recording with bright and clear sonics, including the many nuances of each instrument. He certainly used many different types of instruments, and I think that is why this album sounds so unique and why it holds up to this day as something original and special without equal. In addition to the original album, you get to see OLDFIELD in the before and after scenario with excerpts from Tubular Bells II - Live At Edinburgh Castle and Tubular Bells 3 - Live At Horseguards Parade, London. The sound on this format is simply astounding; there is no other way to explain it. This is one of those albums that set a precedence and made a career for one person, now 30 years later the legacy grows and continues to gain advances into the consciousness of music listeners around the world. Yes, this is one of the most important rock albums of all time, just look at the countless bands that have recorded similar music after this was released. OLDFIELD's influence is everywhere, and to think he accomplished all of this with one album; it is truly an amazing feat that deserves another look. First assumption: this could easily have been for me one of the finest albums ever, had I not been hearing the original for decades. As far as re-recordings go, this is among the best. Oldfield managed to do something different using the same composition just by updating the means and the production to the digital era. So what's new in 2003? Well, first off, both parts have been subdivided in several smaller pieces - no point, really, seeing that they can't actually hold on their own. The general feeling is that the mellower parts are more crystal, while the heavier parts are heavier and trashier. And the finale is now voiced by John Clease - a fine choice and a fine work, but I'm afraid the original is just too imprinted on our minds to fully appreciate this new feature. Tubular Bells 2003 has however brought a new light to Part 2. The crescendo leading to Cavemen is much more dramatic and flowing. Cavemen itself has been turned into "Caveman and Cavewoman", seeing that are now two voices (I must confess I rather preferred the original by miles). The Sailor's Hornpipe ends the album pretty much in the same manner as the original recording. All in all, a nice effort that had to wait 30 years to break from the shackles of Virgin to see the light. We, outside, great it with kindness, although our fondness will always remain with its ruder, sharper-edged, older brother. Let's do some recap work, will you ? 1973 : the original "Tubular Bells" is released. 1975 : the Orchestral version saw the light. Ten albums dedicated to this great song! Maybe a bit too much, I'm afraid. Just imagine the credibility of such approach. But, still : it works! This is my preferred version (on par with the original one). Simply because it is the closer one. Almost a clone finally; but recorded with new techniques and coming out of Mike's mind, in search of getting closer to perfection. This album is meant for Oldfield fans of course, but new (or younger) ones might be appealed by this 2003 Bells. I certainly enjoyed it very much. Probably not as much as his debut one (the surprise effect is somehow gone, would you believe?) but I can't rate it with less than four stars (as the original one actually). An interesting and pleasant way to re-discover this great album. There must have been a good reason for Mike Oldfield to re-visit his career-making 1973 hit after thirty years, only to record a note-perfect copy of the original album. It's still the same, compelling, self- indulgent exercise in studio one-man bandmanship, still opening with that instantly familiar theme famously used in the film "The Exorcist" (director William Friedkin later claimed he'd have used the music of TANGERINE DREAM instead, if only he had known of them at the time). The new version likewise still employs the same grade-school music primer in the now oddly named "Finale" (on vinyl it closed the first side of the LP; now it's in the middle of a single CD suite). Here the repeating motif is played more for comic relief, with each additional instrument (all of them presumably played by Oldfield himself) named by ex-Monty Python John Cleese, acting as 'master of ceremonies'. And the album still concludes with an unexpected but lively rendition of the "Sailor's Hornpipe": thus completing a strange musical journey from the rotating head of Linda Blair to the bulging biceps of Popeye the Sailor. The remake of course sounds far superior to the original, with smoother transitions, stronger performances (after 30 years of practice, let's hope so), and a much cleaner production. But any flaws in the first edition, technical or otherwise, were strictly in the mind of the composer. Please note how Oldfield didn't alter the form or content of the music itself by so much as a single note. I enjoyed the unique experience of hearing both the 1973 and 2003 versions (and both for the first time) together in one sitting. 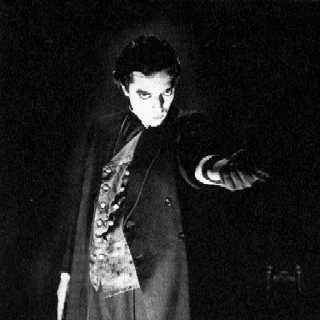 Never mind, by the way, how I could have missed it back in the '70s: maybe the saturation airplay of the opening "Exorcist" theme on every AM radio in the known universe turned me off at the time. Listening to the two albums back to back was certainly instructive, providing a not unpleasant sensation of déjà vu. If the original was a textbook product of its era, then the re- make is a weird time-capsule hybrid: a glossy new 5.1 surround-sound product of the same earlier age. Think of it like the chassis of a classic sports car with a supercharged digital engine under the hood. It may offer a smoother, more fuel-efficient ride, but you won't arrive at your destination any quicker. A true pleasure for the ears! After the flawed Orchestral Tubular Bells and tons of remasters, reeditions and sequels, Mike Oldfield finally remade his most emblematic (but not his best) album, a desire he had since the original release with the support of Richard Branson back in 1973. And for this occasion, he used part of the instruments of the old recording sessions along with some new incorporations and the album sounds just fantastic, plethoric and incredibly beautiful. Maybe some new elements like the female vocals in the caveman section are debatable, but the result is a tremendous gift for Oldfield's fans. Best tracks: I always considered that the first part is far superior than the second one. 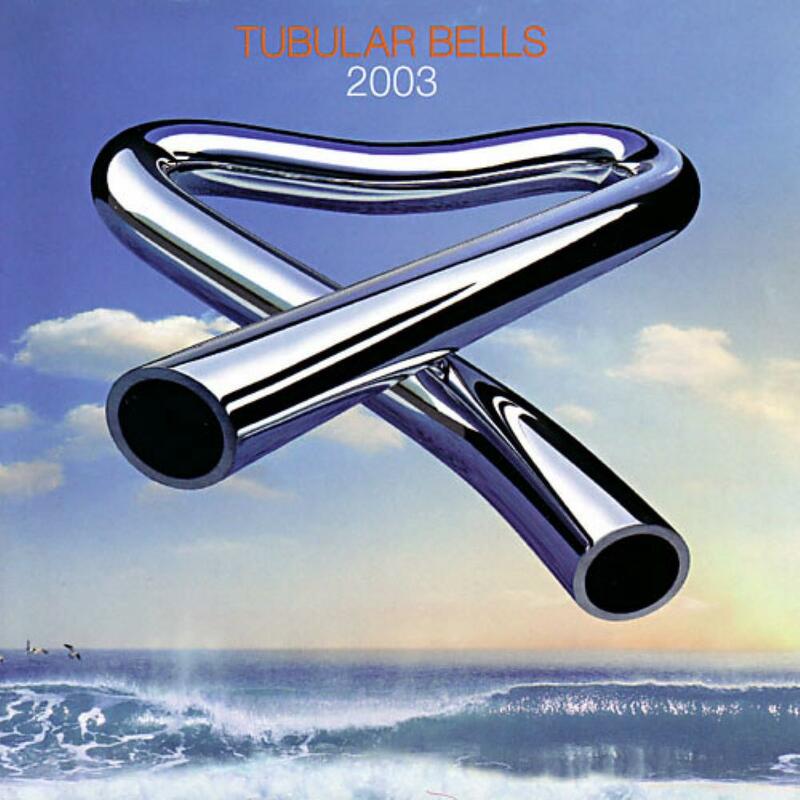 Conclusion: Tubular Bells 2003 is not a substitute for the legendary album of 1972. I rather see this re-recording as a complement of this classic piece of music, improving its sound and adding the experience and skills that Mike learned in more than 30 years of career. So, I consider this new version maybe not superior than the original, but equally interesting and containing an incredibly well- made production very worthy to be heard and studied to learn the evolution of this talented, restless and always interesting musician. 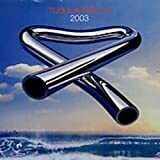 Post a review of MIKE OLDFIELD "Tubular Bells 2003"